Please make sure that these on brought in on the first day back as we will be using them to start our poetry work in Literacy! What an amazing show! Our class sang their song BRILLIANTLY, I am sure you will agree. There were such a lot of words to remember as well as the dance so well done. We are getting closer and closer to our production so please can costumes be sent in as soon as possible. Tickets have been sent out to parents so please let the office know if your child has not brought any home. Thank you! The children have planned and written over a week some fantastic adventure stories using characters and settings from Roald Dahl stories. Please ask your child about their story and have a read of it when you come to parents' evening next term. There are some days that are brilliant! All the staff working in Holly Class this morning were so proud of the children. 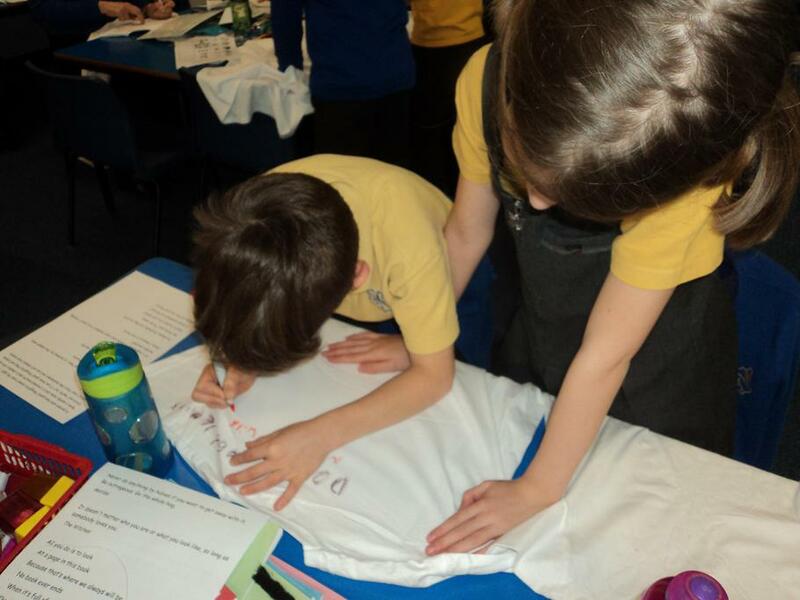 They have worked hard to start their adventure stories, grasped the idea of missing numbers in column additions and had an absolutely brilliant making session with their "Story Scene in a Box" work. Well done everyone! Our class took part in the Legacy Hockey Challenge and managed to cover over 3000m! Very impressive for only about 25 minutes. Well done Holly Class. Look who popped in today! Yes, Mr Mulhern is missing us terribly and just had to come in at the end of the day. He will be back with us after the half term holidays- we are looking forward to it! We are so glad that you have found our new page- how exciting to have a new website! The term is already in full swing and our Roald Dahl topic is fantastic! 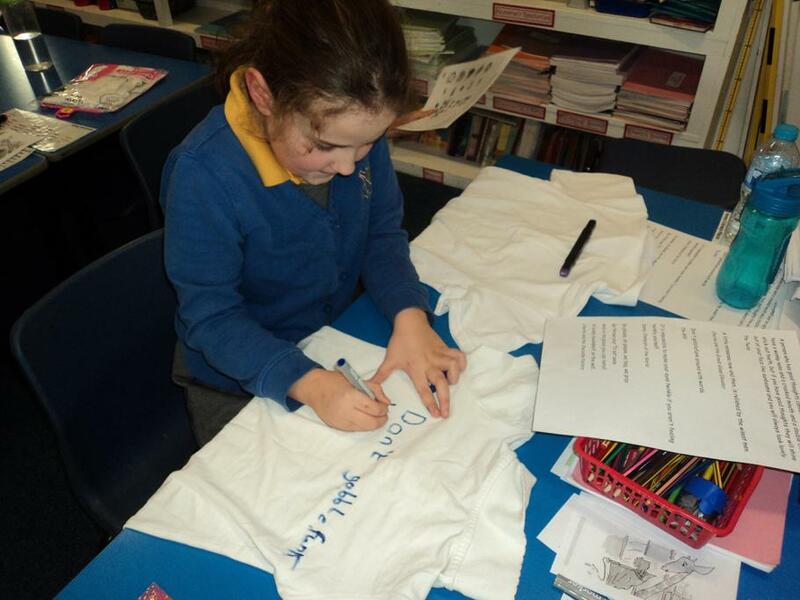 We started our t-shirts last week and are well on the way with our designs for a "Scene in a box" model making link to Roald Dahl's stories and Quentin Blake's illustrations. Please do feel free to come into class at the end of the school day to have a look at the fantastic displays we have in the classroom to help us in our learning. Today we have been working in groups to investigate the effects of friction. 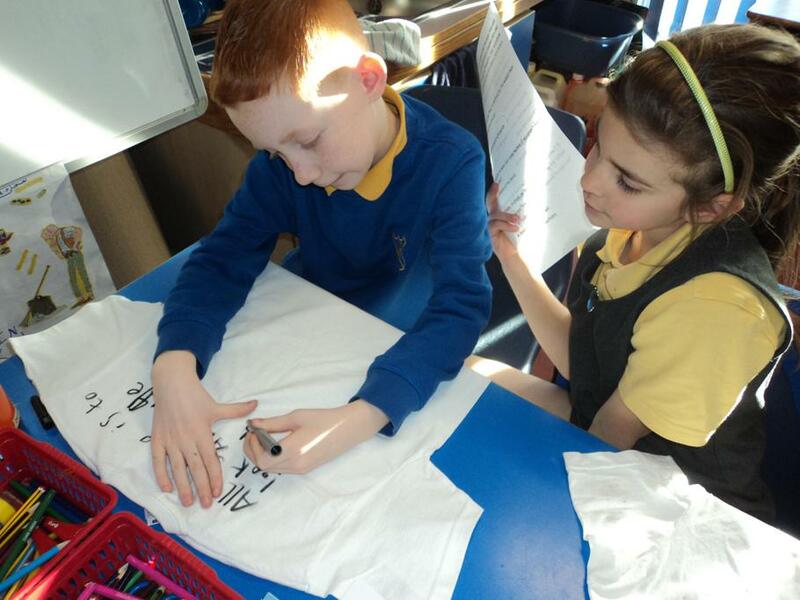 We continued to add to our t-shirts this afternoon, choosing another favourite quote then adding our first Quentin Blake style character drawing. They really are starting t look great! 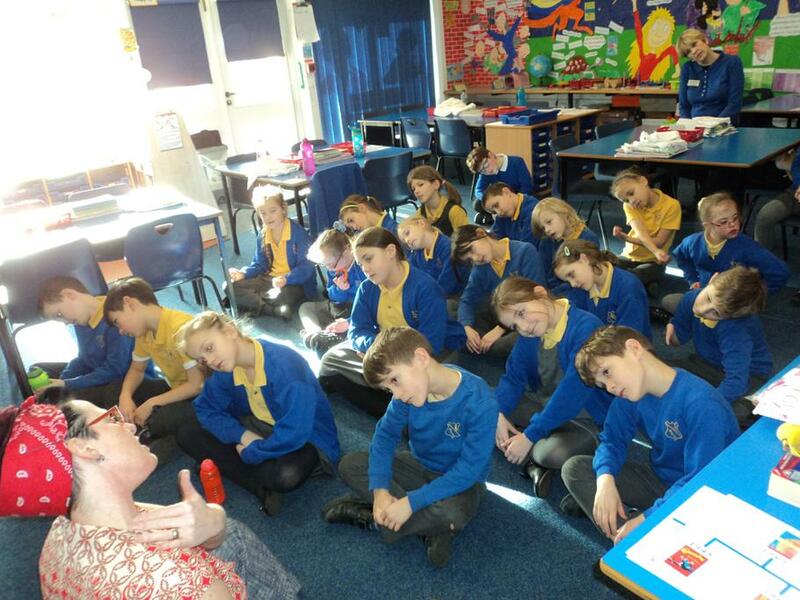 We had our second session of Mindfulness through art with Mrs Alexander today. 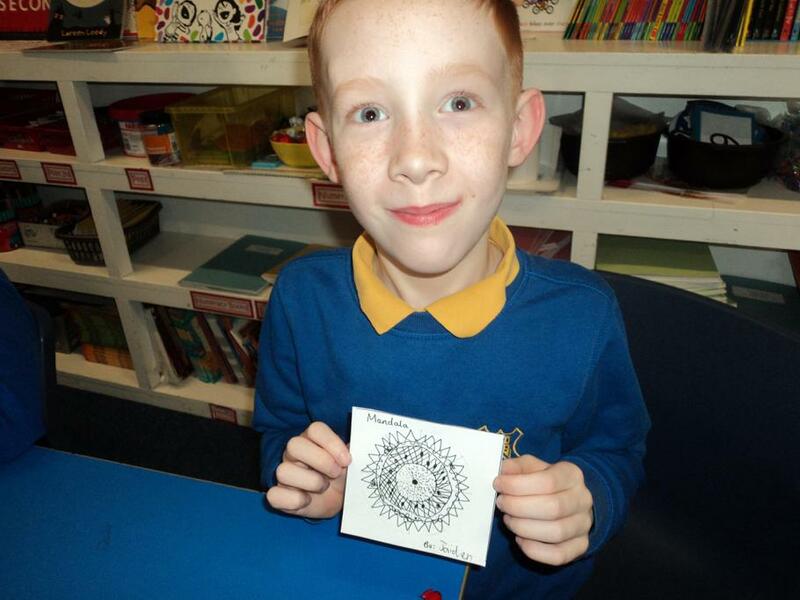 After our deep breathing and stretching warm up, Mrs Alexander showed us how to create fantastic Mandalas using repeated patterns within areas of a circle. They really did look effective by the end of the session!